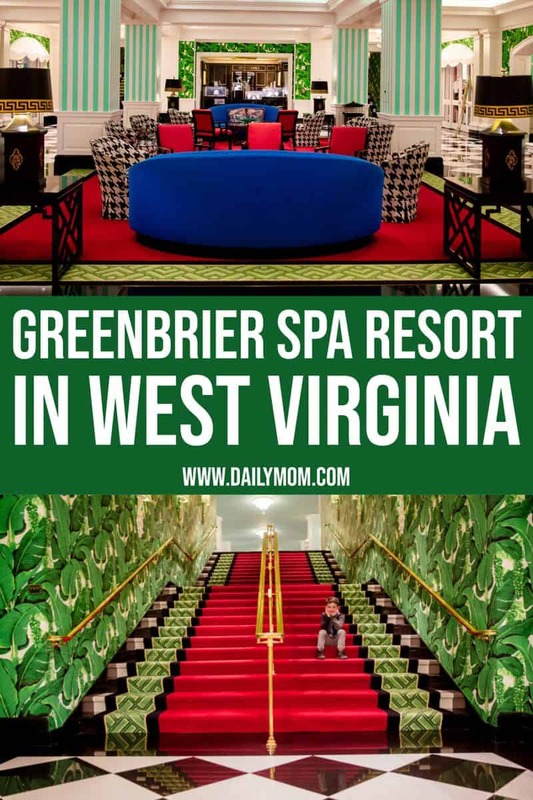 Nestled in White Sulphur Springs you will find an oasis that provides fun and relaxation for the whole family at the Greenbrier Spa Resort in West Virginia. When I say relaxation for the whole family, I mean the WHOLE family. When you plan your trip be sure to include the kids (you can even bring the dog if you have to) because you can easily enjoy your relaxing and fun weekend with them in tow. You won’t be able to turn down that much needed trip to the spa! Don’t let winter stop you either, the Greenbrier Spa Resort in West Virginia is gorgeous all year long. Currently, they are also offering an amazing package for those looking for an escape during these dreary, cold months. The resort is more than just a world class resort, it is a National Historic Landmark. The natural mineral springs began drawing guests to the area over 235 years ago and still continue to lure them to this day. At the Greenbrier Spa Resort in West Virginia you will find no shortage of beauty, fun, excitement and adventure. It is the ultimate experience packed full of southern charm. Upon arrival you are greeted with unsurpassed elegance. The resort offers 710 rooms, including 33 suites and 96 guest and estate homes. Wherever you choose to stay, you will not be disappointed. 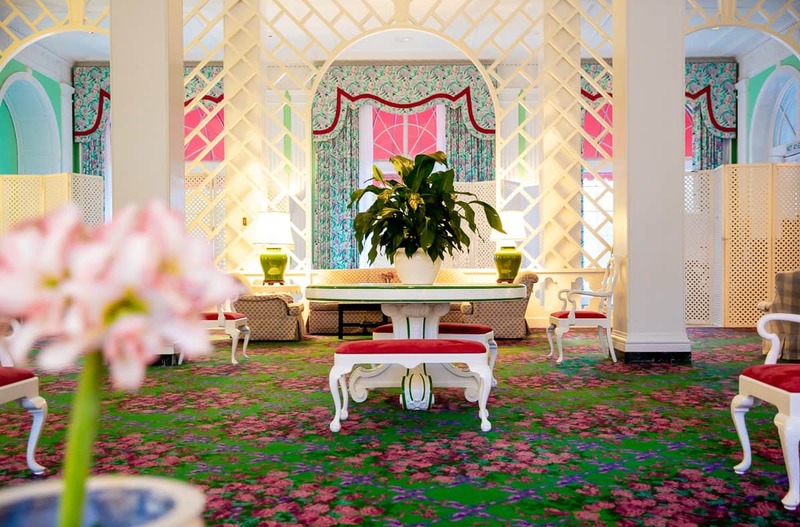 From the moment you enter the Greenbrier Spa Resort in West Virginia you will not be able to overlook its bold personality featuring brilliant colors and oversized patterns. They scream luxury, fun and the history of the property can be seen in every little detail. The original interior designer was the famous Dorthy Draper. She was a pioneer in interior design, dominating the field from 1925 to 1960. 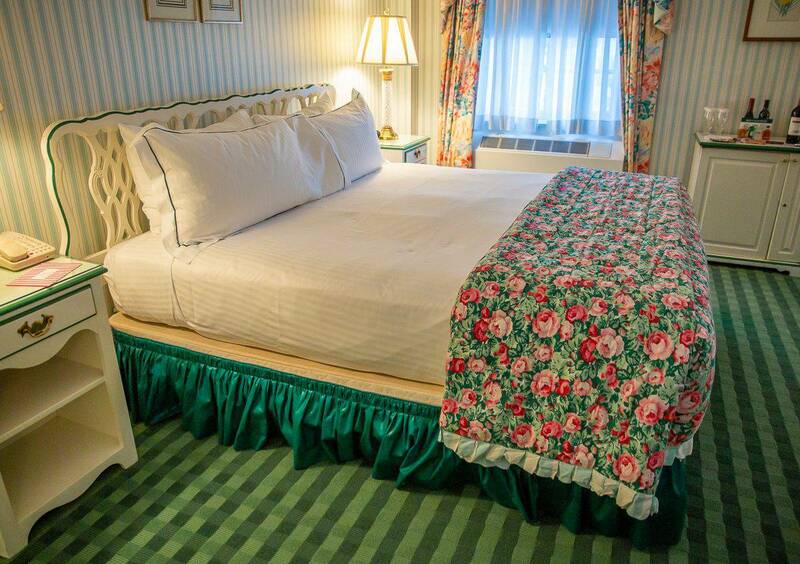 To this day, The Greenbrier remains a one-of-a-kind property with upscale, eye catching decor everywhere you look. It is truly iconic. With Winter weather in full swing, one of our favorite things is that you never even have to leave the resort. You will find activities galore-something for the whole family, dining, retail shops and so much more. We seemed to be trucking along just fine this Winter. We made it through a wonderful and fun holiday season, encountered no major illnesses, we were enjoying some fun snow days, the cold wasn’t getting to us too much and then something happened. It was like we hit the brick wall of Winter. Everything seemed a little dreary, we had no warm weather vacations on the docket and we just needed something to spice things up. 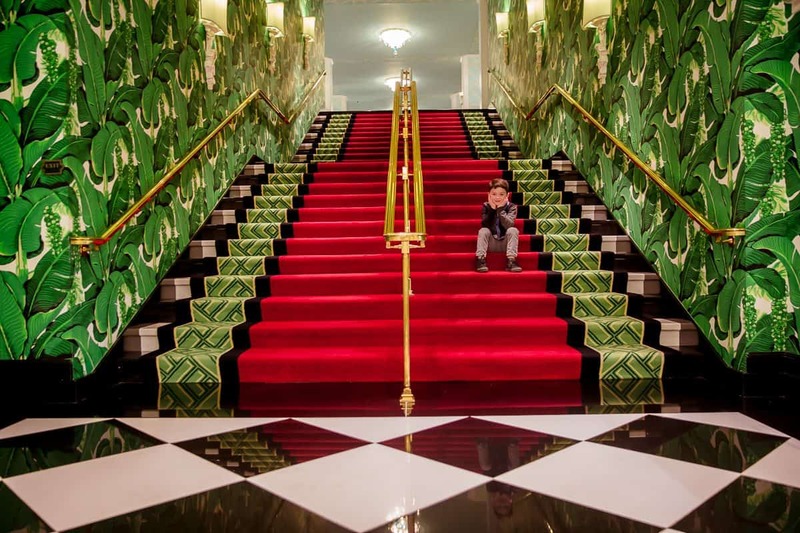 When The Greenbrier came onto our radar I wondered if it could possibly measure up to all the hype and add a bit of warmth to our winter woes. 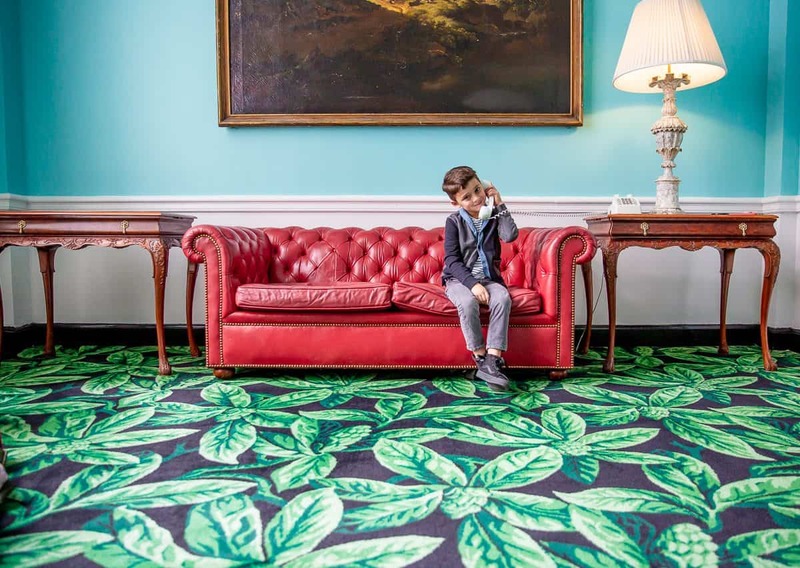 You must first know that my woes and I had very high expectations for a weekend spent at The Greenbrier Spa Resort in West Virginia. I also have to tell you that the unexpected happened, every bit of our stay from start to finish exceeded all of my expectations. I get to say this confidently, with no exaggeration. We were embraced with warmth, every meal was delicious, every staff member smiling and kind, every planned activity was a hit for adults and kids alike- goodbye winter woes, hello relaxation and fun! I want to tell you about all the activities they offer but first let me just run you through some of our favorites during our weekend stay because they were amazing. Afternoon Tea- We arrived on Friday just in time for afternoon tea and it was delightfully magical and just as nostalgic as it sounds. 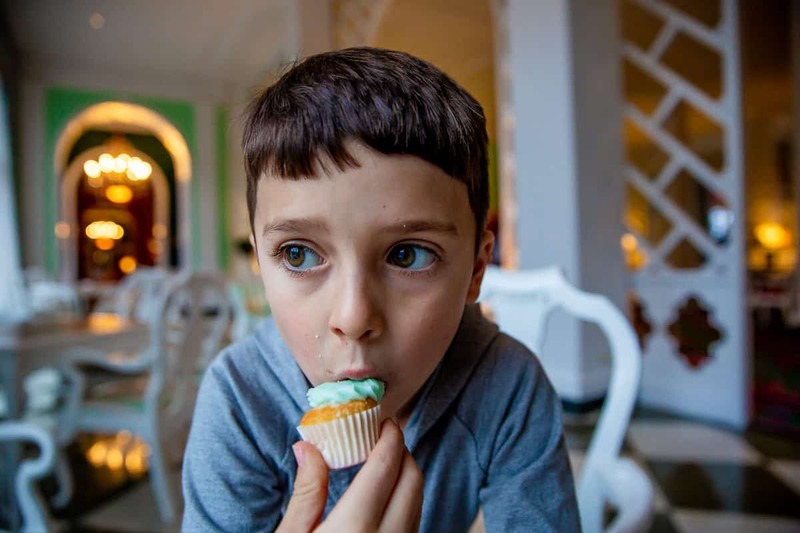 My little guy enjoyed a cupcake and a hot chocolate and everyone seemed to just be allowing time to slow down a little. 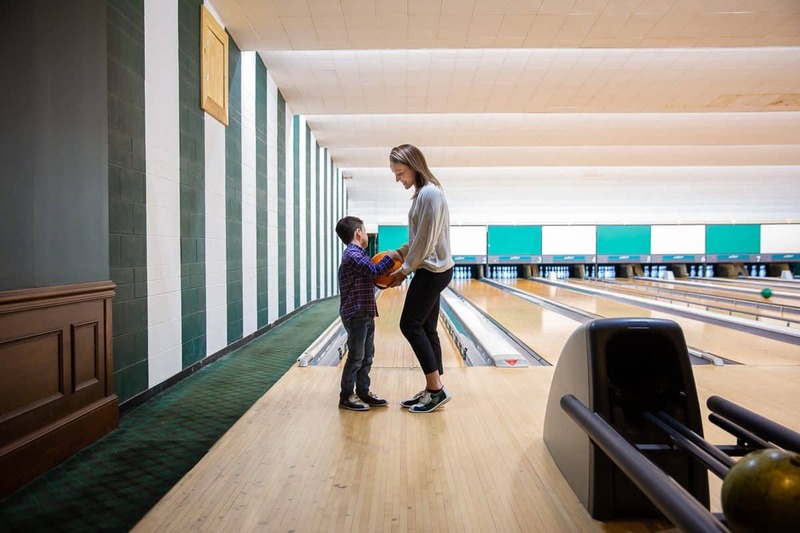 Bowling & Arcade- We bowled every single day of our stay, we couldn’t get enough. Talk about the ultimate family activity, just steps from your hotel room. Carriage Rides-Horse drawn carriages that bundle you up in a blanket to show you the historic grounds? Yes, please. Ice Skating Rink- Similar to bowling, my little one couldn’t get enough of the ice skating rink. They have things to assist the little ones (or the adults) and a roaring fire right to the side to warm up- or hide from the kids with a cocktail, if you’re into that sort of thing. Adventure Zone- There aren’t enough words to tell you about how amazing the staff at the Adventure Zone are. We sent the little one so a morning at the spa could be enjoyed and when it was time to pick him up, leaving was the last thing on his mind. They play games and planned activities with your kids and they love it! The Spa- One could simply describe The Greenbrier’s Spa as pure bliss. You step into an oasis filled with friendly faces and unrivaled treatments. From massages to facials to taking in the famous sulphur baths, any decision made at the spa will be a good decision. Family Bingo- Hello fun activity for the whole family and yes there are prizes! We has a blast! Indoor Pool- I don’t know about your kids but mine LOVES an indoor pool. You know what I love? The comfortable chaises that line the pool for a little R&R. Family Celebrations and workshops and more! During your stay make sure you have plenty of room for meals! In typical Greenbrier style, your options are plentiful. For us, the buffet in the Main Dining Room proved to be the perfect place for breakfast. There was something for everyone and everything tasted delicious. We were able to relax and enjoy a cup of coffee and scrumptious foods. For lunch we enjoyed the gorgeous decor of Drapers and washed down our meal with a little ice cream. At the end of a long day, the dinner options abound! Enjoy Italian at The Forum, elegance in The Main Dining Room, Prime 44 West, In Fusion and many more. Don’t want to change out of sweats? No problem, enjoy in-room dining. Really, I am not sure you could go wrong. It may be cold outside but prepare yourself to experience a trip full of fun and warmth. This Winter, the Greenbrier Spa Resort in West Virginia is making planning the perfect trip simple with their Winter Packages. All you have to do is select your package, plan your activities and get yourselves there. Once you are there, they will handle ensuring the perfect trip. This may be easier said then done! 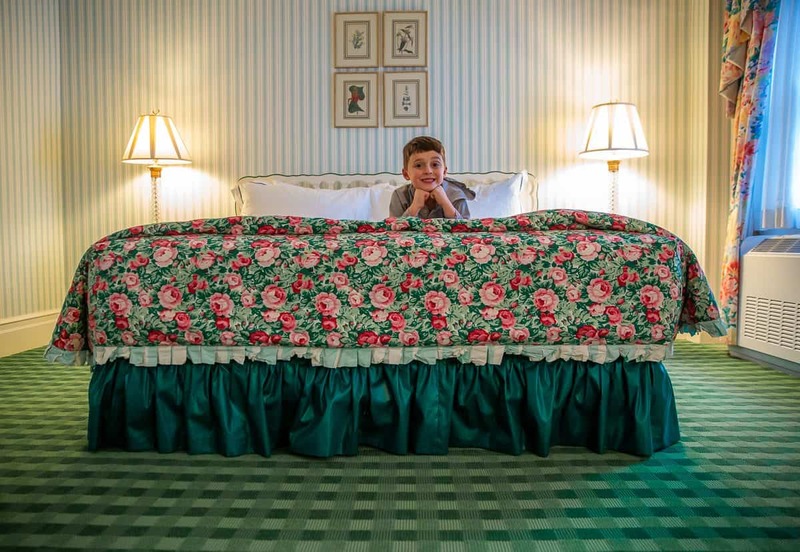 There is certainly no shortage of activities at the Greenbrier Spa Resort in West Virginia and you may find yourself wondering which activities you should choose. Make sure to double check our favorites up above but you are sure to find something to please the whole family, we don’t think you can go wrong with any of them. Winter will be over before you know it and these special packages run from January 4 through March 16, 2019. 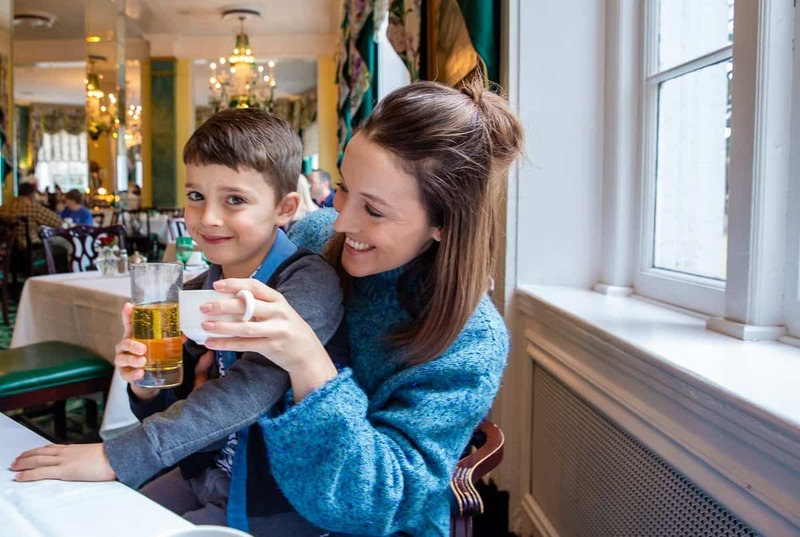 You better get to planning so that you can find yourself sipping a warm cup of tea or a unique winter cocktail by the cozy fire, connecting as a family and getting in some true rest and relaxation at the Greenbrier Spa Resort in West Virginia. 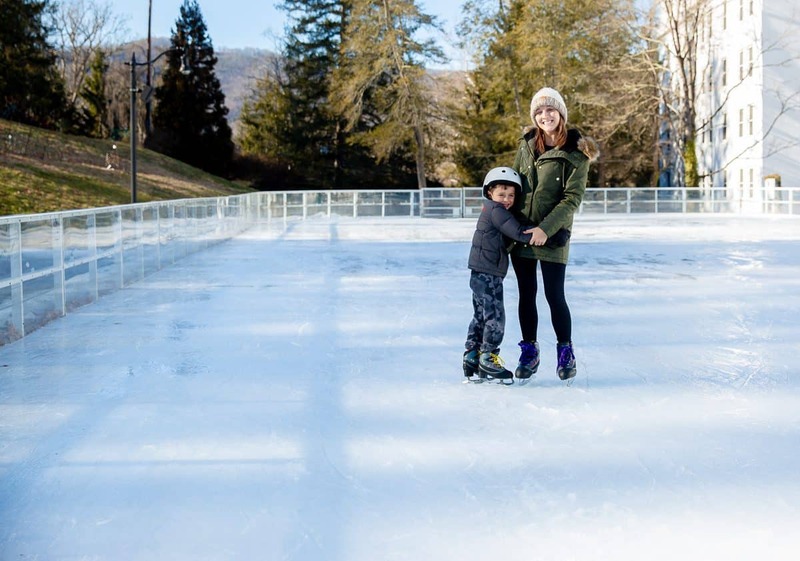 A Winter visit to The Greenbrier Spa Resort in West Virginia proves to be relaxing, fun, and exciting for the whole family. Nestled in the White Sulphur Springs, WV is an elegant yet tranquil oasis whose top tier amenities you have to experience to believe.